Praised by Opera News for his “clear and sweet lyrical tone” and “brave, vocally assured portrayals” (New York Times), Todd Wilander is one of America’s most sought-after young leading tenors. 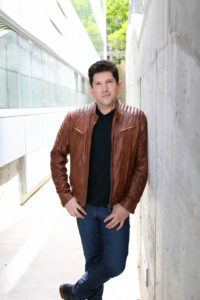 Since winning The Metropolitan Opera National Council Auditions, he has appeared with the company as Arturo LUCIA DI LAMMERMOOR, Almaviva IL BARBIERE DI SIVIGLIA, Beppe PAGLIACCI and Harry LA FANCIULLA DEL WEST, plus roles in WOZZECK, TWO BOYS, THE NOSE, HAMLET, THE GAMBLER, MACBETH and FROM THE HOUSE OF THE DEAD. He appeared with New York City Opera as Charles Clayton in Stephen Schwartz SÉANCE ON A WET AFTERNOON, Uberto LA DONNA DEL LAGO and Harry LA FANCIULLA DEL WEST. For New York Opera Society he sang Rodolfo LA BOHÈME and Nemorino L’ELISIR D’AMORE. Recent and upcoming engagements include Calaf TURANDOT at Mississippi Opera, Rodolfo LA BOHÈME with Opera Tampa, Radamès AIDA with Boheme Opera New Jersey, Don José CARMEN for Central Florida Lyric Opera, Tamino DIE ZAUBERFLÖTE for St. Petersburg Opera, title-role LES CONTES D’HOFFMANN for Opera North and Dimmesdale in the new opera HESTER by Richard Alan White presented by the Center for Contemporary Opera. Elsewhere in the U.S.A., he has appeared with Portland Opera as Rodolpho VIEW FROM THE BRIDGE, Brooklyn Academy of Music as Molqi DEATH OF KLINGHOFFER, Pacific Opera Northwest as Pollione NORMA, Opera Memphis and Boheme Opera New Jersey as Edgardo LUCIA DI LAMMERMOOR, Opera Fairbanks as Tamino DIE ZAUBERFLÖTE, West Bay Opera in the title-role LA CLEMENZA DI TITO and with the Center for Contemporary Opera as Andrew A DEATH IN THE FAMILY. Other companies with whom he has appeared include Madison Opera as Rodolfo LA BOHÈME, Santa Fe Opera as Young Servant ELEKTRA, Lyric Opera of Kansas City as Lysander A MIDSUMMER NIGHT’S DREAM, Opera Saskatchewan as Don Ramiro LA CENERENTOLA, Chatauqua Opera as Fenton FALSTAFF, Nevada Opera as Don Ottavio DON GIOVANNI, Opera Orchestra of New York as Wilhelm Meister MIGNON, Opera Delaware as Macduff MACBETH and Rinuccio GIANNI SCHICCHI, Opera in the Ozarks in the title-roles of LES CONTES D’HOFFMANN and ALBERT HERRING and Glimmerglass Opera as Eurimaco IL RITORNO D’ULISSE. Recent performances include the Coach BOUNCE with Manhattan’s ADA Arts, Camille MERRY WIDOW for Opera Fairbanks and the title-role in SAMSON ET DALILA, Ruggero LA RONDINE and Turiddu CAVALLERIA RUSTICANA with the Verdi Opera Chorus of Los Angeles. European engagements include Sam SUSANNAH for Opera Bilbao (Spain), Tonio LA FILLE DU RÉGIMENT for Opera Zuid (Netherlands), Nadir LES PÊCHEURS DE PERLES at Dublin Opera Festival (Ireland), Duke RIGOLETTO in Kazan (Russia), Belmonte DIE ENTFÜHRUNG AUS DEM SERAIL and Italian Singer DER ROSENKAVALIER for Landestheater Linz (Austria), Nanki-Poo MIKADO at Teatro La Fenice (Italy), Edmondo MANON LESCAUT for Opera Holland Park (London), Leicester MARIA STUARDA for Opera North (UK) and Chelsea Opera Group (London), Sam SUSANNAH and Percy ANNA BOLENA for English Touring Opera (UK), Ferrando COSÌ FAN TUTTE for Mid-Wales Opera (UK), Alfredo LA TRAVIATA for Longborough Festival (UK), the title-role ROBERTO DEVEREUX and Renaud in Gluck’s ARMIDE for Buxton Opera Festival (UK) and Edoardo in UN GIORNO DI REGNO for Opera della Luna (UK). He has appeared in the title-role of FAUST and as Ernesto DON PASQUALE in New Zealand, Italian Singer DER ROSENKAVALIER for New Israeli Opera, Edgardo LUCIA DI LAMMERMOOR and Duke RIGOLETTO in Hong Kong, and as Belmonte DIE ENTFÜHRUNG AUS DEM SERAIL for Teatro Colon, Buenos Aires. As a member of the ensemble at Deutsche Oper Berlin, he performed Frère Massée SAINT FRANÇOIS D’ASSISE, Arturo LUCIA DI LAMMERMOOR, Vierte Knappe PARSIFAL, Junger Mann MOSES UND ARON and First Armored Man DIE ZAUBERFLÖTE. At San Francisco Opera, Mr. Wilander has appeared as Belmonte DIE ENTFÜHRUNG AUS DEM SERAIL, Frère Massée SAINT FRANÇOIS D’ASSISE, Kudrjas KÁT’A KABANOVÁ, Tamino DIE ZAUBERFLÖTE and Thaddeus Stevens THE MOTHER OF US ALL. Mr. Wilander has appeared with many orchestras, including New York Philharmonic, National Chorale, New York Choral Society, BBC Radio Orchestra, Grant Park Music Festival, Hollywood Bowl Orchestra, Los Angeles Music Center Orchestra, Hamburg NDR Philharmonic Orchestra, Kansas City Symphony Orchestra, Lancaster Symphony Orchestra, Pasadena Symphony and Haifa Symphony Orchestra in solo repertoire that includes Verdi Requiem, Mahler Das Lied von der Erde, Handel Messiah, Haydn Creation, Mozart Requiem and Coronation Mass, Bach Magnificat, Beethoven Missa Solemnis and 9th Symphony, Berlioz Requiem, Puccini Messa di Gloria, Vaughan Williams Hodie and On Wenlock Edge, Rossini Stabat Mater, Britten Serenade and War Requiem and Mendelssohn Elijah. Mr. Wilander has been a winner of many prestigious competitions, including The Metropolitan Opera National Council Auditions, Belvedere Competition, Licia Albanese/Puccini Foundation, American Berlin Opera Foundation, Oratorio Society of NY, Enrico Caruso/Altamura Competition and Loren L. Zachary Society Competition. He was a finalist in the Richard Tucker Foundation and the Houston Grand Opera Competition. Originally from Arcadia, California, he completed a Bachelor of Arts in Music and Business at California State University, Los Angeles, received a Masters of Music in opera performance and literature from Northwestern University (title-roles of SERSE, CANDIDE, ALBERT HERRING and Nerone L’INCORONAZIONE DI POPPEA, and Artist Diploma at the University of Missouri, Kansas City Conservatory of Music.